The latest technology. The oldest television. You’d think those things wouldn’t go together terribly well. The good news is that you can connect a Genie Mini Client, even a wireless one, to a TV that’s as old as the hills, if you just have the right equipment. Genie clients have only one output — HDMI — as far as you’ve been told, but there’s an extra set of outputs you probably weren’t aware of. There’s a dense little connector called “A/V out” on the back of all H25s and Genie Mini Clients. The purpose of the connector is to give you access to all those ports you used to have on much larger receivers… composite, component, and audio. All you need is the right cable to be able to use this special connector. You can’t but it at your local big box store, but that’s where Solid Signal comes in. 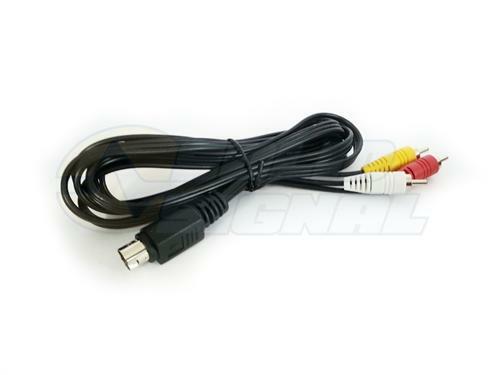 We have a great stock of these 10PINCOMPOS connectors that give any H25 or Genie Mini Client the availability to output composite video and stereo audio. These friendly RCA plugs go into the Video In and Audio In connections on your TV. If your TV is really old and it doesn’t have these connections… all you need to do is connect the 10PINCOMPOS to this RF Modulator and then you can put out the signal on channel 3 or 4 of your TV using a coaxial cable. You may think this is a lot of trouble to go to for an older TV, but DIRECTV has stopped producing the D12 receiver for standard definition TVs so this is sort of the only way to go. It’s also important to remember that connecting your Genie Mini Client this way gives you all the benefits of a Genie including the ability to pause live TV and use on demand programming, even on your older TV. There are still millions of old tube TVs in use in garages and spare bedrooms all over the country and this is a great way to be able to make use of them.